Men and Mental Health with Brian Pincott. My dad came from a generation where no one talked about mental illness or suicide. Men in particular showed no vulnerability or signs of struggle, psychological or physical. To show any emotion was to appear weak, and real men were not weak. I never saw my father cry. I don't remember any physical signs of love from him, like hugs and kisses. "I have suffered from depression since I was 16 or 17. I have never ... See More talked about it. It hasn't served me to not talk about it, as the bouts of depression get deeper and longer." Those are the words of one of our guests today Brian Pincott. 3 out of every 4 suicides are men. Former Calgary City Councillor Brian Pincott. was first elected in 2007 in his Ward 11 seat until he decided to not seek reelection in 2017. He has opened up about his journey. Today he shares his perspective and his journey. -Why did he come forward? And his reaction to the response. -The power of empathy and kindness. -Where we are in our conversations? 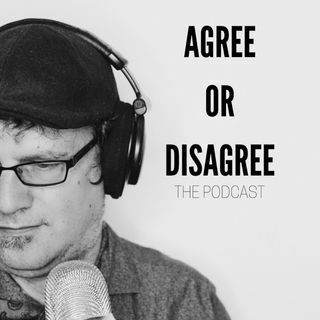 Facebook:Kevin Olenick, Agree or Disagree:The Podcast.